A professional mandolin with beautiful appointments and hardshell case. The LM-700 is a tribute to classic design techniques. From the hand-carved, hand-graduated AAA spruce top and AAA flamed maple back and sides to the abalone/mother-of-pearl headstock inlay, these mandolins were built to represent Golden Age craftsmanship updated for the modern era. Carved and assembled in the Loar Hand Carved Design Workshop, then hand-rubbed with an extra thin poly finish for clean warm tone and powerful projection, these mandolins deliver professional-level sound and playability. The LM-700 is assembled with a one-piece maple neck and bound ebony fretboard, ebony bridge and vintage-style Gotoh tuners. 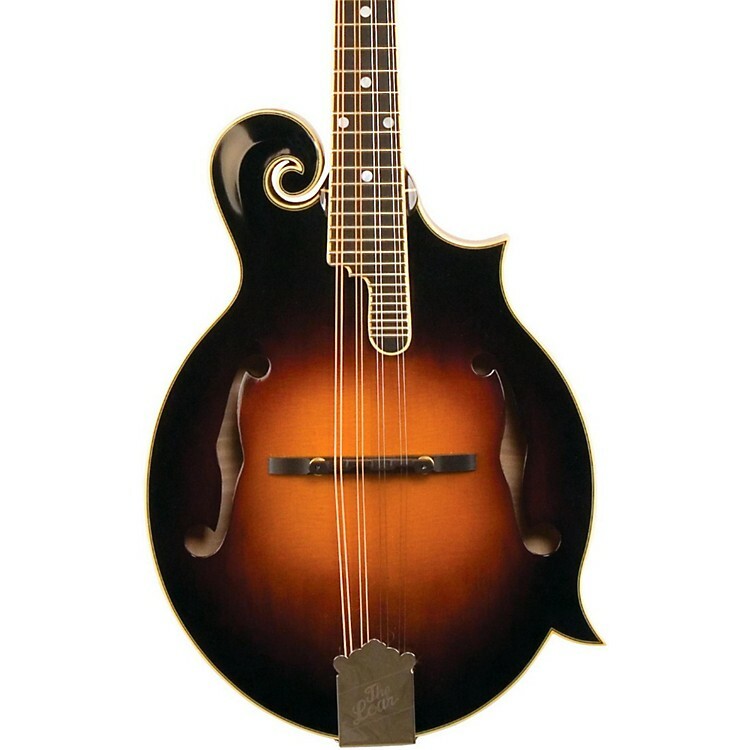 The bone nut and ebony bridge allow for the singing sustain and sharp "chop" that professional players look for in a high-quality mandolin. Get lost in some superb mando tone—call or click to order this beauty today.